From a current events perspective, this summer is a summer marked with new controversies wearing the trappings of age-old debates. If you are an avid reader of this blog, or if you simply note the subject matter of my previous posts, you will observe that I tend to stick to movies and Biblical related material. In case it is unclear, I approach the Bible from a critical and academic standpoint, one that I do not find to be incompatible with faith. With the exception of my Bill Nye/Creationism post a few months back, I tend to stay away from too many current events. If you have been following the various news stories this summer, you undoubtedly have heard of the flood of people, mainly children, coming to the United States from Central America. It has created something of a crisis as immediate questions of care arise and longer-term questions of logistics and what to do with them still linger. The broader issue here is nothing new in and of itself. 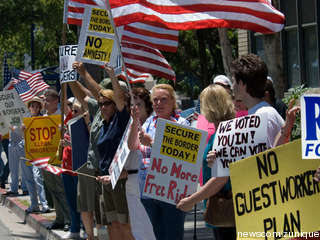 Americans bitterly disagree over the hot topic of immigration. I myself do not want to engage immigration broadly for this post, but rather I do want to focus on one aspect of the debate that I find interesting. Specifically, let us look at the debate of immigration from the religious, or even “Biblical,” perspective. Did you notice something interesting about these images? Granted, some of these images may anger my readers, some of my readers may agree whole-heartily with them. Nevertheless, take a closer look. 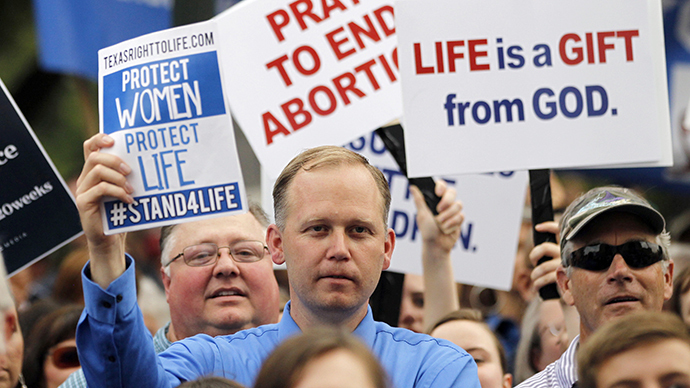 You will note that the abortion and gay marriage protests invoke Biblical passages for their point of view. Of course, this is nothing new. It is well documented and known in the United States that religion plays a heavy role in the reasoning to ban both abortions and gay marriage. “Mary didn’t have an abortion…” “God created Adam and Eve, not Adam and Steve…” et cetera et cetera. However, if you will note, the Bible never appears to be included in the rhetoric when it comes to discussions based around undocumented immigration. In fact, the first image under the immigration title above is the first image I have encountered that included some protest with a link to religion. Bolstering this is the fact that my entire Google Image search did not turn up another image in which the Bible or religion is invoked in order to protest immigrants. So why is this? Why is the Bible not invoked in the immigration debate? How is it that religion is a driving force in the protest of so many issues in the United States, yet it remains absent from the anti-immigration stance. Alternatively, does the Bible not have anything to say about immigration? Truth be told, there is a plethora of instances throughout the Bible in which Israel addresses questions of the “others,” i.e. immigrants. Therefore, if a modern day person of faith uses the biblical text as an authoritative source, then he or she will find ample evidence of this subject regardless of which position that person takes on the immigration issue. Broadly speaking, while there are texts that suggest a strong suspicion and distrust of foreigners vis-à-vis Israel (Ezra and Nehemiah comes to mind), there is in fact more evidence commanding Israel to welcome and love the immigrant. This brings me to my main point. 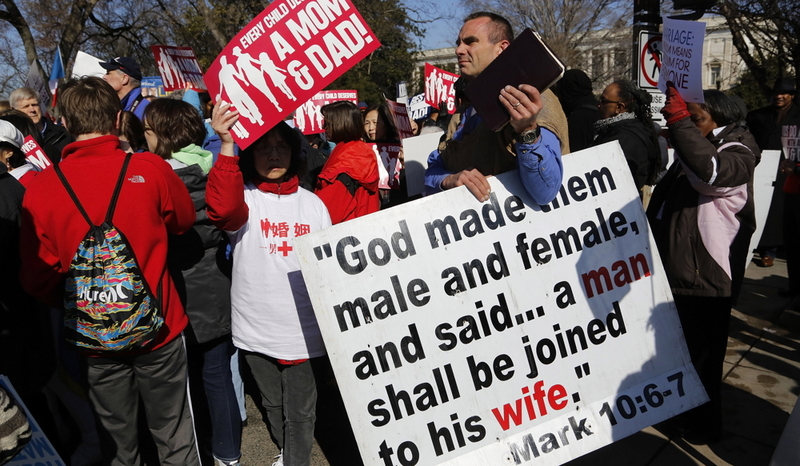 Why are some Christians so eager to protest gay marriage with Leviticus 18:22 (“You shall not lie with a male as with a woman; it is an abomination”), yet remain silent in their discourse with Leviticus 19:33-34 (When an alien resides with you in your land, you shall not oppress the alien. The alien who resides with you shall be to you as the citizen among you; you shall love the alien as yourself, for you were aliens in the land of Egypt: I am the Lord your God”)? In the Bible I am using to write these quotes, the Leviticus 19 quote is on the next page. Those who protest so vehemently, based on Biblical precedent and authority, are completely silent when it comes to the treatment of immigrants, despite their own authoritative source commanding them to be welcoming. 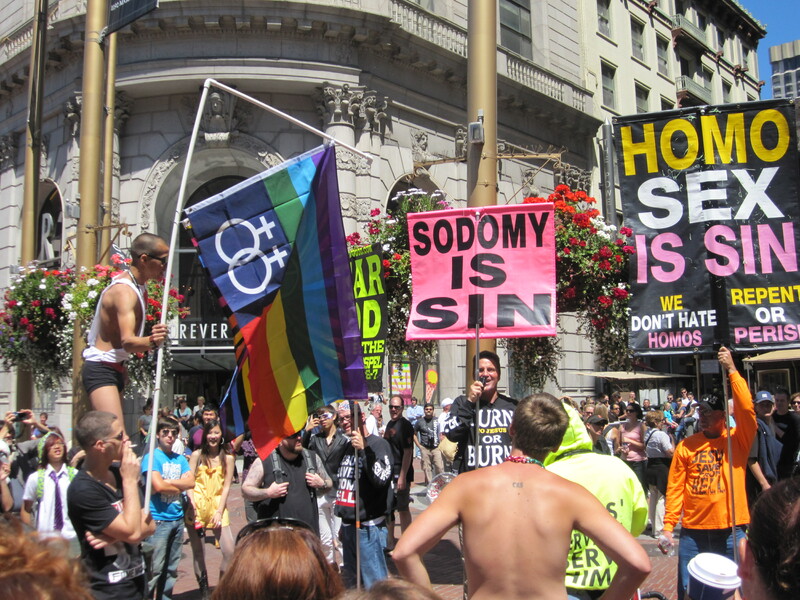 Of course I am generalizing here, but the question is still legitimate: Why are those who are all too eager to appear at anti-gay marriage rallies and anti-abortion rallies with Bibles in one hand and signs in the other, absent with the arrival of immigrants, especially children, advocating for their humane treatment based on biblical principles? Is it easier for someone to flip to the Old Testament in an attempt to find a prohibition, making the Bible analogous to a rule list left by a parent who has gone away for the day? Why are Christians so eager to shout their favorite verses when their form of Christianity aligns with a political (often the political right in this country) agenda, but remain either blissfully unaware or flat-out ignorant of passages that contradict contemporary moral values. In my view, these approaches are completely incompatible. Either one must accept that they are challenged if trying to “live by Biblical principles,” or they must abandon the religious aspects of their political arguments. Most Christian doctrines will state that the Bible is one whole work, thus it must be either authoritative or not. Under this framework, one cannot theologically, logically, or morally, select which passages he or she wishes to follow. This of course speaks to the broader issue of attempting to apply the Bible to modern political, moral, and social values. Again, I approach the Bible from a historical perspective, and thus bringing it into the modern world becomes extremely problematic from my point of view and should be done with caution and scrutiny. Of course, I think it is always a good idea for one to analyze one’s own position on any given topic. 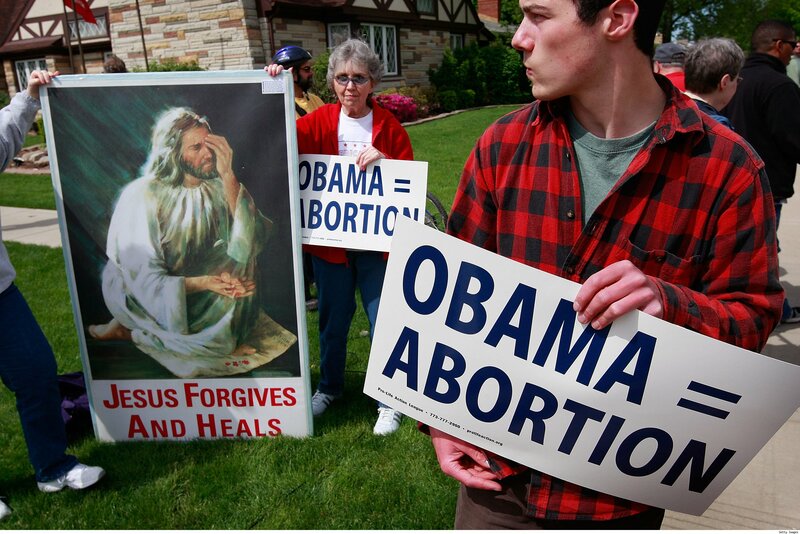 In conclusion, returning to the picture of above with the woman protesting by saying, “What would Jesus do? He would obey the law.” I must say, I would agree with her. 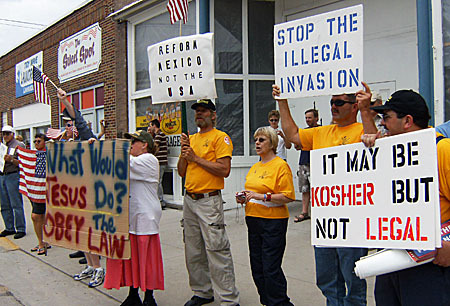 As a devout and observant Jew, Jesus would know that Torah commanded him to treat the foreigner with the same love and respect that he would his own neighbor. Thank you for reading, and please sound off on your own comments below. **Author’s Post-Script** You will note instances of “wishy washy” language in my post. This includes “some Christians…” and other similar phrasing. Despite what your high school English teacher may say, this is not bad writing. I am making it a point to be clear that not every Christian holds the viewpoints I have discussed above. Definitive, blanket statements “Christians do this…” are not only problematic, but also just plain wrong. Exceptions are always present, and we must therefore acknowledge trends, without applying them to the whole of a faith. Thank you for reading. This entry was posted in Religion and tagged Bible, Christianity, Christians, Current Events, Immigration, Jesus, Leviticus, Politics, Protesting, Religion. Bookmark the permalink. Great post! I’m a new follower, and I look forward to reading your content. Thank you for the kind words! I read some of your work as well and am now following your blog. Keep up the good work!